Better late than never… All of a sudden it’s December! Which means you’ll be needing a new desktop wallpaper. If like me you’ve caught the festive spirit you’ll be a bit partial to this merry and bright Christmas edition for the silly season. I have made this design 1280 x 800 pixels, which suits my mac. But, like always, if another size is your preference please let me know. 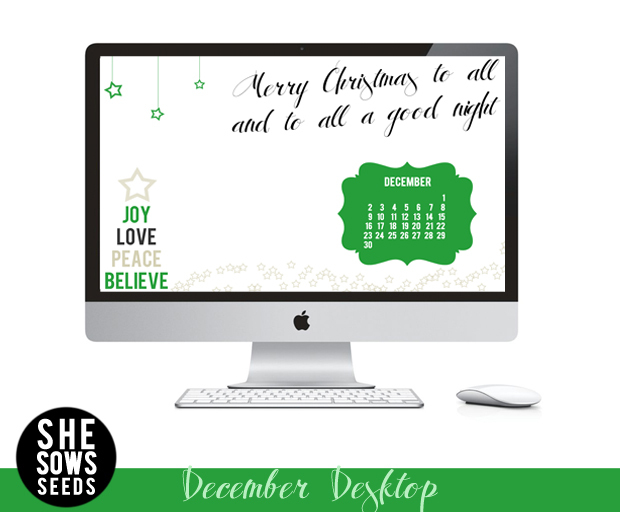 Click here to download the December desktop wallpaper. Once you’ve clicked on the link, simply click on the image to bring it to it’s full size, then right click on the image and either ‘set to desktop background’ or ‘save image’ to set it as your desktop background manually. Have a festively fun weekend, we’re off to finally nab ourselves a Christmas tree and really get the cheer on. Merry December!